eloise: we saw the hot air balloons for the second year. Last year you were curled up close to me in the wrap. This year you were exploring them right along with us. What a day and night we had. We saw a few balloons in the morning and then decided to come back at night (past your bedtime) to see all the balloons lit up in the night sky. It was both exciting and exhilarating for you. And you did amazingly well up so late. A very special night for both you and your Mama and Daddy. This entry was posted in Uncategorized and tagged 30/52, 52 project, 52 project 2014. Bookmark the permalink. Amazing shot! Would love to see these one year, it always looks so amazing! 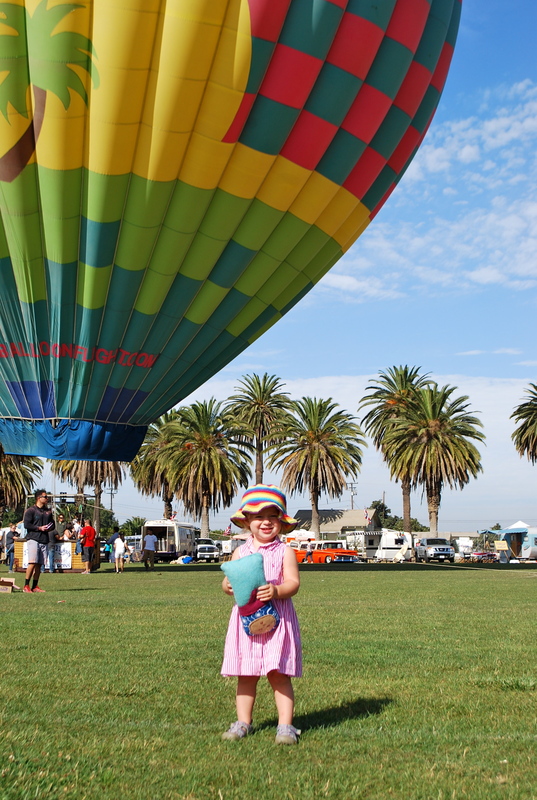 I love that her hat matches the hot air balloon. 🙂 Great picture.